Shopping for your dream house? 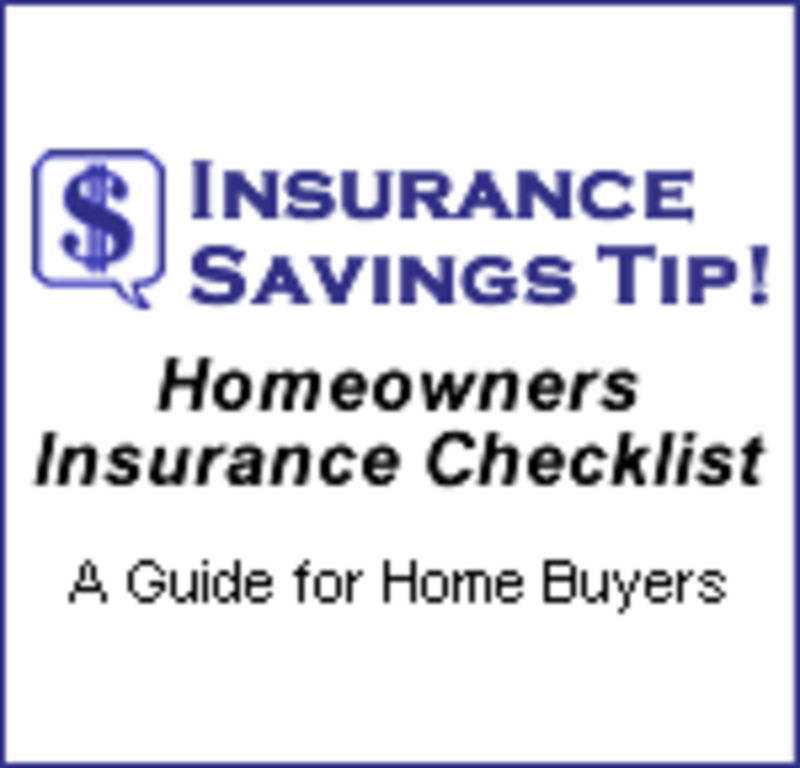 It’s important to keep insurance in mind throughout the home buying process. Most lenders won’t provide a mortgage without insurance coverage. Your insurance company or agent, together with your realtor, can help you get what you want – a good home that is properly protected. Put yourself in the best possible position to be able to afford a home, receive the lowest possible mortgage rate and get insurance for your new house. This takes advance preparation on your part. Good credit helps you in many ways, including getting a mortgage at a good rate. Depending on the state and the insurer, it may also help you save money on your homeowners insurance. Get a copy of one or all of your credit reports. Make sure they are accurate and report any mistakes immediately. The credit report helps you see how your credit standing compares to others. If your credit is not as good as it should be, begin to improve it immediately. Get a copy of your loss history report, such as a CLUE report from ChoicePoint or an A-PLUS report from ISO. This is a record of home insurance claims you have filed. If you have not filed any insurance claims in the past five years, you will not have a loss history report. The better your claim record, the less you may pay for insurance. A good claims record can also be important if you are selling the home you are currently living in. However, a past claim does not have to be a problem; the reulting repairs or improvements, if done properly, can make a property more attractive to buyers and insurers. If you are currently renting, it’s important to have insurance for your personal property. Your landlord’s coverage will not cover the things you own. If you haven’t owned a home before, it might be helpful to have a history of insurance when you go to buy your first home. As you look at homes, remember that characteristics of the house (where it is, how it's constructed and the kind of shape it’s in) can send your insurance rates up or down. If you plan to live near the Atlantic or Gulf coasts, consider a brick home because it is more resistant to hurricanes. If you are buying in a seismically active region, look for newer homes built to current codes, or older homes that have been bolted to their foundations. They are better able to withstand earthquakes. Older homes sometimes have features such as plaster walls, ceiling molding and wooden floors that could be costly to replace. Such special features may raise the cost of insurance. Also, an older home that has been updated to comply with current building codes is typically less expensive to insure than an older home that is not up-to-date. If you are considering a “fixer upper,” you may pay more for insurance until clear improvements are made. In particular, check out the condition of the roof. A new roof in good repair will be attractive to insurers and will save you money as well as aggravation. These systems can wear out, become unsafe with age or become dated as safer technologies are introduced. Recent upgrades make your home safer and less likely to suffer fire or water damage. Homes equipped with smoke, fire and burglar alarm systems that alert an outside service may get sizeable discounts. Strong doors, dead bolt locks and window locks may also reduce insurance costs. Pool, wood burning stove, etc. You will need higher property and liability coverage if you are buying a home with features such as a pool or a wood burning stove. In the case of a pool, consider getting additional coverage, such as an umbrella or excess liability policy. Homes near a fire station, those with a hydrant close by and those located in communities with a professional rather than volunteer fire department will cost less to insure. Homes near the coast will be more expensive to insure because the risk of hurricane, wind or water damage is greater. In many states, you will pay the first few thousand dollars in damage before your insurance kicks in. You also need to think about the threat of floods or earthquakes. You will need separate insurance for these risks and it can be costly. Also, around the country, there are high-risk areas vulnerable to hurricanes, brush fires or crime that might not qualify for private insurance. To make insurance available, there are state-sponsored Fair Access to Insurance Requirement (FAIR) Plans. FAIR Plans, however, can be expensive and provide less coverage. You have looked at a number of properties and are narrowing your search to a few homes. Now you need to get more specific information on the house and its insurability. Ask the current homeowner for a copy of the house’s insurance loss history report. This will provide information regarding claims filed during the last five years and answer two questions that any savvy homebuyer should ask: Are there any past problems in the home? If damage has occurred, was it properly repaired? Prior claims are not barriers to getting insurance, but you should know the history of the home before you go to closing. A thorough inspection of the home is very important. The inspector should: check the general condition of the home; show you where potential problems might develop; double-check that past problems have been repaired; and suggest upgrades or replacements that may be needed. If a house has been well-maintained, you should have no trouble getting insurance. However, if the inspector raises questions, your insurance company will as well. In particular, have the inspector check for water damage, termites and other types of infestation. Special attention should be paid to the electrical system, septic tank and water heater. Find out if there is an underground oil storage tank, as many insurers will not provide policies for homes that have one. Don’t wait until the last minute to think about insurance. Ask your current insurance professional if the house will qualify for insurance and get an estimate of the premium. The sooner you act, the smoother the process will be. If you do not have an insurance agent or company representative, get recommendations from family, friends or co-workers. Select someone you know and trust, as he or she will be an advisor for many years. Most people spend months looking for a house, but only spend a few minutes insuring it. Insurance companies sell insurance in different ways – some through their own agents, others through independent agents or brokers and still others directly by phone or over the internet. Select the arrangement that you are most comfortable with. Get the names of several highly regarded insurers. The higher the financial rating, the better prepared they will be if a real disaster strikes. Then compare prices – it could cut hundreds of dollars off the cost of your bill. Congratulations, you are set to purchase your new home. Now you want to be sure you are getting the right insurance coverage at the lowest possible price. The higher the deductible, the lower the premium. Since most people only file a claim every eight to ten years, you will save money over time and preserve your insurance for when it’s really needed. Completely rebuild the house in the event it is destroyed by fire or other insured disaster . Replace everything in the house. Protect your liability in case someone is injured on your property and sues you. Damage caused by flooding and earthquakes is not covered by standard homeowners insurance policies. Instead, homeowners will need to pay an additional premium for coverage that is provided through the government’s National Flood Insurance Program (NFIP). To get flood insurance, your community must participate in the NFIP program. Policies for coastal properties will have a sizeable windstorm deductible, which means the homeowner may be responsible for thousands of dollars of damage before insurance kicks in. It pays to know what is in your policy. Earthquake insurance is offered by private insurance companies. In California, coverage is available through the California Earthquake Authority, a state program, as well as the private market. It can be expensive and comes with a high deductible. Maintain your home as you would your car. Every year, there are important things you should do to reduce the chance that you will experience water damage, fire or other insured loss. Insurance does not pay for routine maintenance or damage resulting from neglect. The cost for proper care should be calculated into your overall budget. It’s your responsibility to be the “risk manager” for your home. If you do your part to reduce insurance losses, not only will your home be safer, it will also save you money on your insurance bill. Let your insurer know about alterations, additions and improvements to your home. Major purchases and lifestyle changes such as a marriage or divorce should trigger a call to your insurance professional. 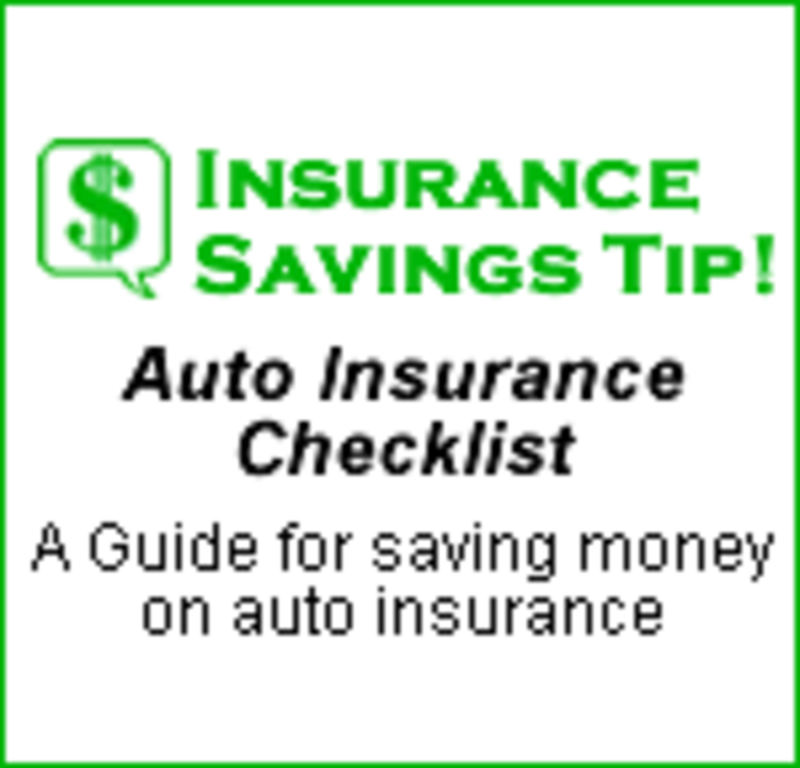 This way, you can maximize your insurance dollars by not being either under- or over-insured. Does my auto insurance cover damage caused by potholes? Full Tort v. Limited Tort - What's the Difference?